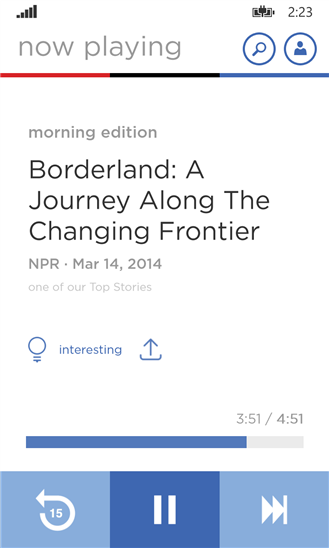 NPR One is the new audio app that connects you to a stream of public radio news and stories curated for you. Great storytelling and rigorous reporting that informs, engages, inspires and surprises—from the ends of the earth to your own city or town—available to you whenever, wherever. 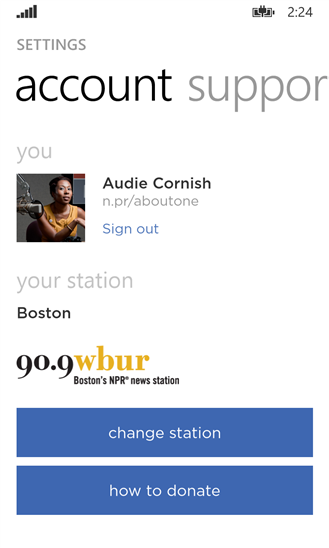 It’s public radio made personal. 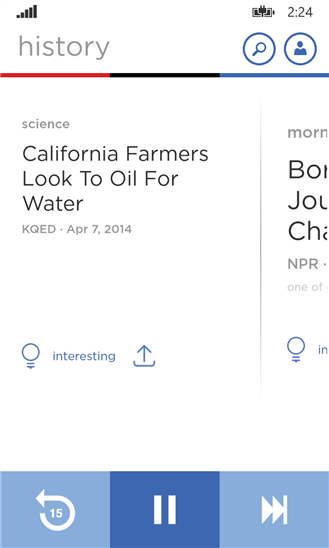 NPR One starts with the latest headlines then moves to a flow of stories that matter—stories that increase your understanding, create connections, enrich your life and enliven your mind. All thoughtfully curated by hand, every day. 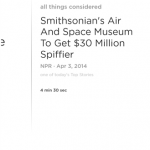 Just pop in your ear buds, tap your phone and NPR One starts flowing. But now if you want to pause, skip ahead, rewind or share a story with friends, you can do that too. All from a simple app. 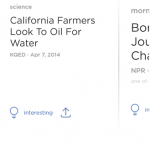 Though your stream is personalized to deliver the stories you want, you’ll still hear the top news of the day and stories you had no idea would captivate you. Journey around the globe and into the most interesting corners of your community—serendipity making your world bigger and smaller at the same time. 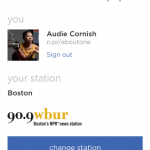 Even with the breadth of public radio at your fingertips, you won’t lose touch at home. 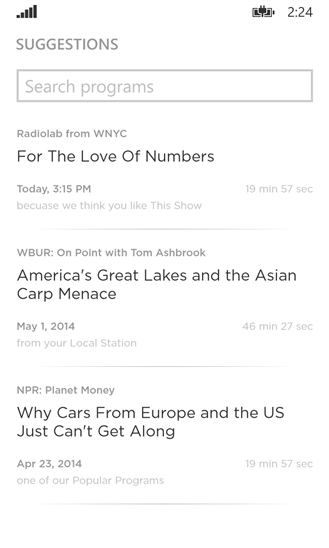 Local news is woven seamlessly into your listening experience. 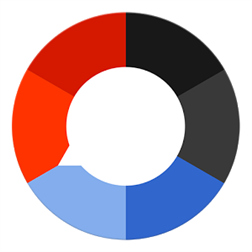 Local stories, locally reported, are delivered daily. Community is everything. 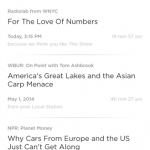 As fast as the world is changing the way it listens to public radio, NPR One is changing the way we deliver it. 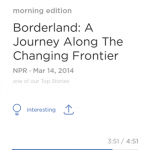 NPR is here to deliver the public radio experience wherever you are. Whenever you can connect. Here we go. 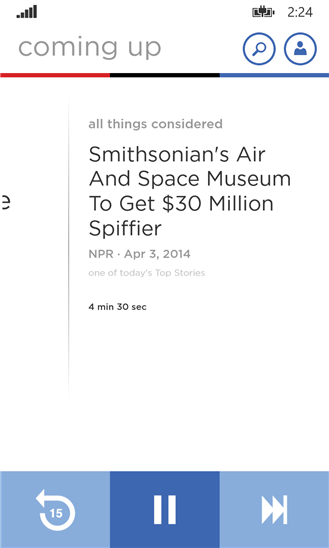 It’s NPR One.